On November 15th, 2018, the University of Miami hosted its fifth annual VizUM Symposium. This year’s event was coupled with its first ever Visualization Competition. Before the main speakers took to the stage, the two finalists for the VizUM Visualization Competition were invited on stage to present their work. 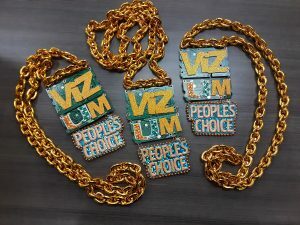 The “Visualiz-IRs” and the “UM Analytics” teams were the front-runners of over fifty-four entries for the VizUM competition. The competition challenged designers, journalists, data scientists, statisticians, professionals and scholars to use open data from Miami-Dade County or the City of Miami to tell a data-driven story. The “Visualiz-IRs” focused on the community of English Language Learners (ELLs) in Miami-Dade schools, while the “UM Analytics” team created an interactive project on pedestrian and motorist traffic accidents in Miami-Dade County. The first invited speaker at this year’s event was Hadley Wickham, the Chief Scientist at RStudio, and an Adjunct Professor of Statistics at the University of Auckland, Stanford University, and Rice University. Hadley builds tools (computational and cognitive) that make data science easier, faster and more fun. His work includes packages for data science (the tidyverse: including ggplot2, dplyr, tidyr, purrr, and readr) and principled software development (roxygen2, testthat, devtools). During his presentation Hadley walked the audience through the process of using RStudio to create a graphics with just a few lines of code and covered four topics: 1) how to code, 2) why to code, 3) why code a visualization, and 4) visualization functional program code. Hadley explained how visualizations not only communicate data but also why they’re a great way to communicate code. Bongshin Lee was the second speaker. Bongshin earned her MS and PhD in Computer Science from the University of Maryland at College Park in 2002 and 2006. With her background in Human Computer Interaction, Bongshin utilizes her expertise to explore innovative ways to create visualizations. In her demonstration of Charticulator, Bongshin was passionate about enabling the creation of visualization without the prerequisite knowledge of code. Though the Charticulator is an ongoing research project, the accessibility of creating visualizations is remarkably intuitive. Bongshin also demonstrated a project she worked on in collaboration with The University of Maryland at College Park and UC Santa Barbara: ChartAccent. ChartAccent allows users to annotate charts with just a few clicks. Though the two speakers took different approaches to visualization (Hadley emphasized using code, while Bongshin was an advocate of graphing without code), it was informative to see these different approaches. Both Hadley and Wickham engaged the audience with examples on how to easily create impactful visualizations and even though their processes differed, there was one constant: their love for data visualization and the shared belief that data visualization should be accessible for all. At the end of the evening, the winners of the VizUM Competition were announced. 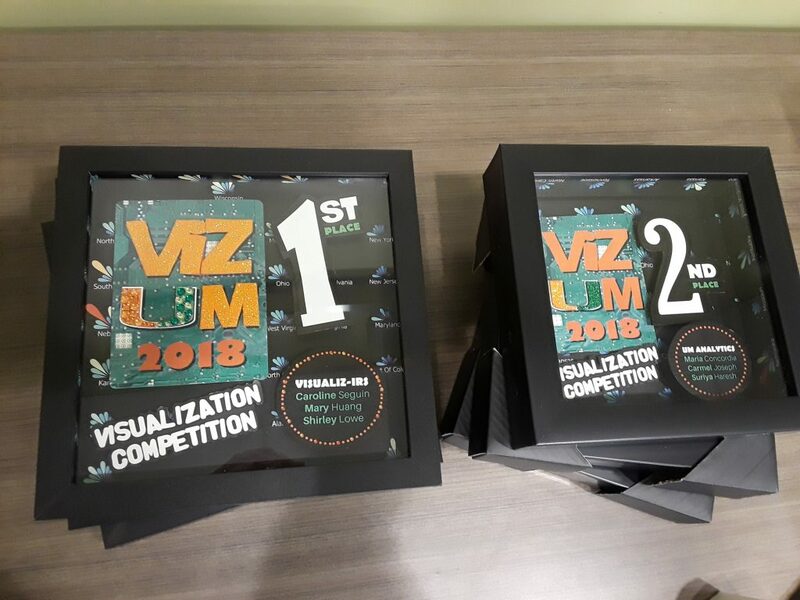 The “Visualiz-IRs” won first place for their project on English language learners (ELLs) and “UM Analytics” won second place and the People’s Choice Award. Both teams created captivating visualizations that felt especially relevant to all Miami locals. VizUM is always a time of inspiration where attendees can learn from industry leaders and leave feeling motivated and excited about the possibilities of data visualization. While “visualization is not magic” as Professor Cairo wisely stated, it is a skill that can be learned and developed. Now, thanks to the tips from Hadley and Bongshin, we all have a head start. VizUM was sponsored by the Knight Foundation, UM’s Center for Computational Science, UM College of Arts & Sciences; and the UM School of Communication Center for Communication, Culture, and Change.